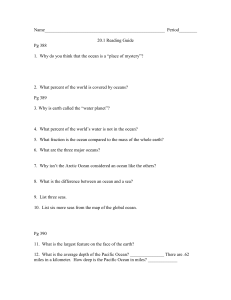 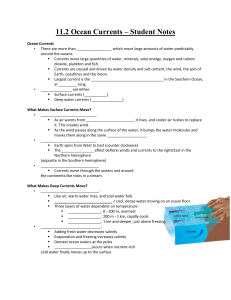 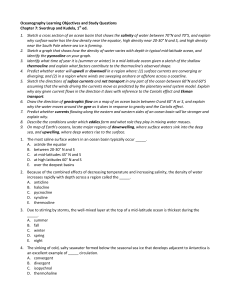 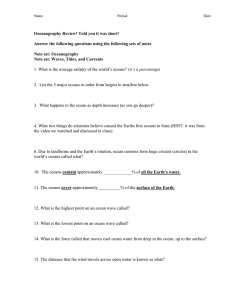 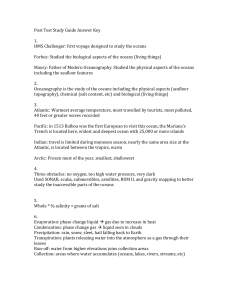 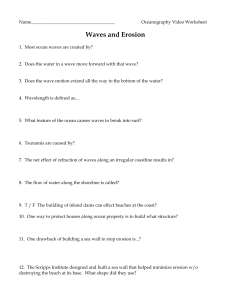 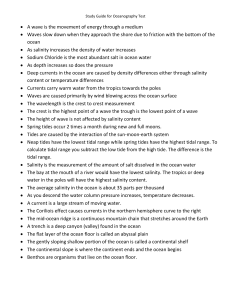 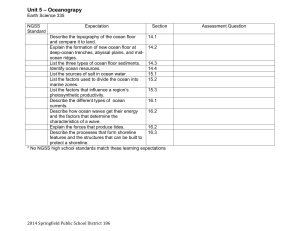 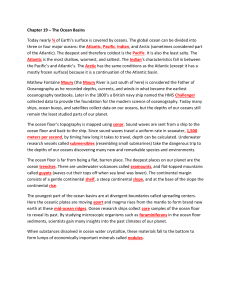 Oceanography Review! 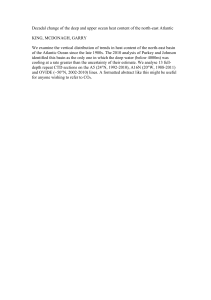 Told you it was short! 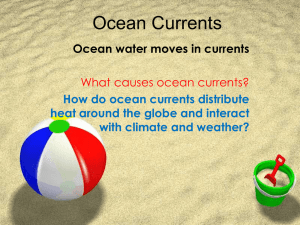 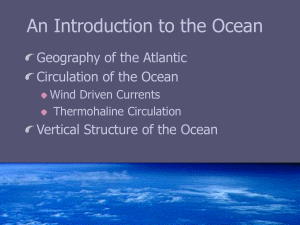 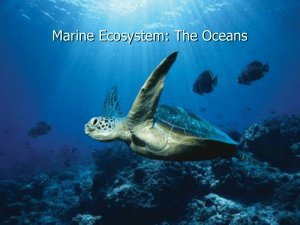 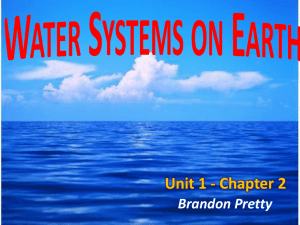 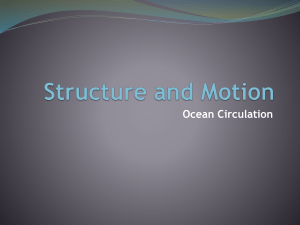 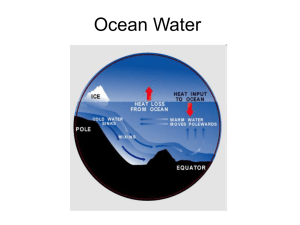 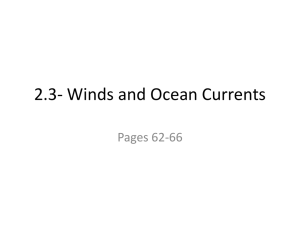 Physical oceanography is the study of physical conditions and physical processes within the ocean, especially the motions and physical properties of ocean waters.Physical oceanography is one of several sub-domains into which oceanography is divided. 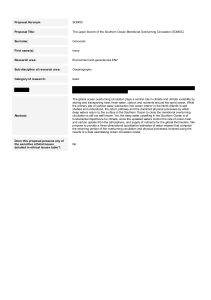 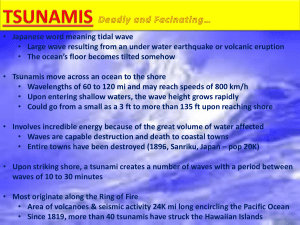 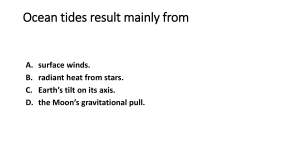 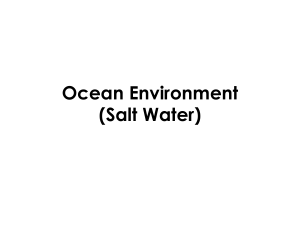 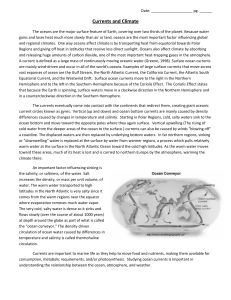 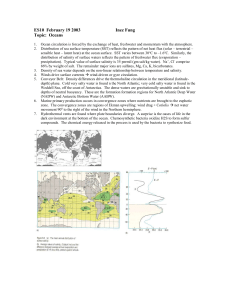 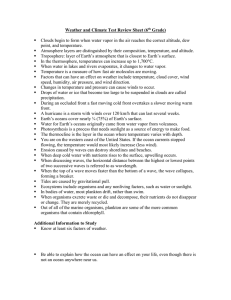 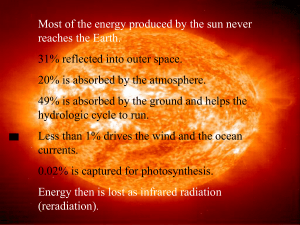 Others include biological, chemical and geological oceanographies.